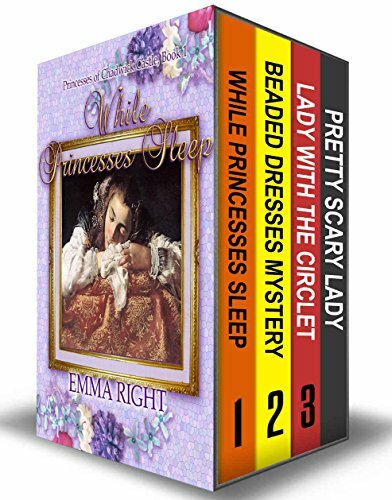 4-book set is a tale of two princess sisters, Elle age 12, and Belle, 10 and is great for readers who love Cinderella-type fairy tales and European princess stories. While Princesses Sleep (bk 1) opens with Princess Elle discovering a strange sound in the night. Curious, she determines the reason for these mysterious noises and starts the adventure with her sister, Belle. Something is afoot at the castle and they must find out what this is. However, finding the truth behind the secrets they stumble upon leads them to strange answers? What sort of trouble will the princesses get themselves into? This children's full-color, illustrated story series features artwork from the art masters whose works have entered the public domain and are no longer restricted by copyright. The art is interwoven into the tale and enriches the story for the reader. Makes an excellent bedtime storybook for young ones. Also introduces children to art appreciation.